PinballShop.nl is part of HighFlow. HighFlow is an experienced and dynamic company, founded in 2007. Meanwhile, HighFlow is one of the most respected company in the world of computer modding. HighFlow focusses on selling the most wanted hobby parts over the internet. 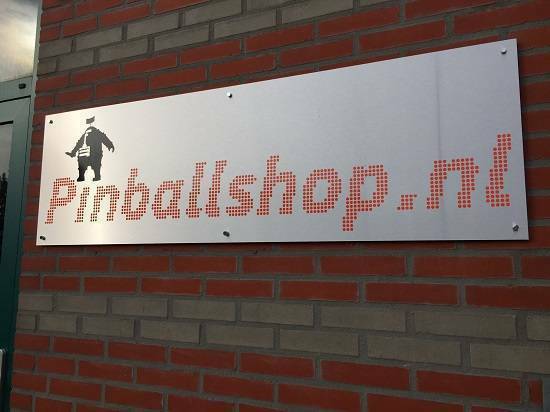 Besides computer modding, pinball is also a great passion of us, especially the modding part :) With PinballShop.nl we share our passion with other pinheads. We distinguish us from other shops by having an userfriendly website, good prices and high service. In order to assure you of that in the future, our good price/quality combination continue to apply, we have developed our own mission, vision, values, strategy and business formula. Service and ease for the customer! PinballShops mission is to keep your pin playing as good as possible and making it look beautiful. We only sell the products, that can do that optimally for the best price. For that matter, we do our best to keep the prices as low as possible! We try to put as much information as possible on the website, but if there are still questions, don't hesistate to contact us by sending an email. PinballShop.nl stocks only the top quality products. We import products from the USA and other countries very often, if you are looking for a product that is hard to find, please let us know and we will get it for you. We ship world wide and we have good shipping rates for Europe based countries. Do you want to know how other customers experienced our shop and service, or do you want to share your experience? We really appreciate if you share your experience, with your review we can improve our services further! For our contact information, click Contact. For our general policy, click HighFlow-AV.